I used to always struggle knowing what to take to get togethers with friends or family. I always want something unique and memorable and I try not to have anything that I think someone else might bring. 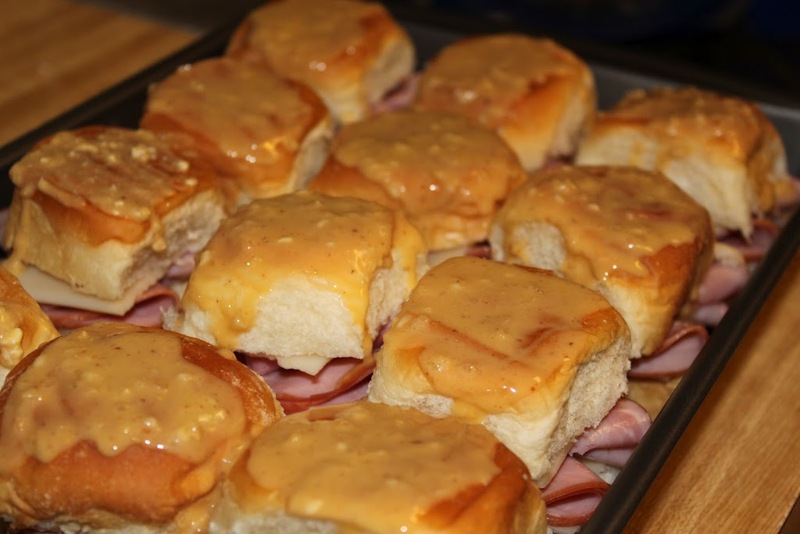 When my sister and I were planning our joint baby shower 4 years ago, we decided on a menu which included these awesome Ham & Cheese Sliders that she had made a few times. They were a big hit at the party and Andrew asked me to put them on our dinner menu rotation at home. Since then, I’ve been taking sliders everywhere we go. I love that they are so simple to make and don’t take a lot of time. As a mom of now two beautiful girls, both of those things are so important to me. 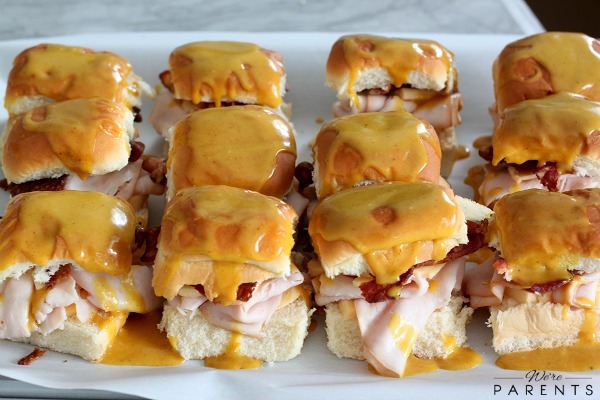 I’ve been thinking of new ways to make our sliders and we have a few favorites now, but these BBQ Honey Mustard Bacon Turkey Sliders are hands down our new favorites. 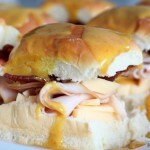 You start with a Hawaiian roll, add two very thin slices of Gouda, a crispy piece of bacon, and two slices of Oscar Mayer Selects Natural Applewood Smoked Turkey Breast. The Oscar Mayer Selects Natural line has no artificial ingredients and still tastes great, which makes me feel great about feeding it to our girls. Top that with a homemade BBQ Honey Mustard sauce and bake. Once it’s finished you add a small slice of avocado and voila! 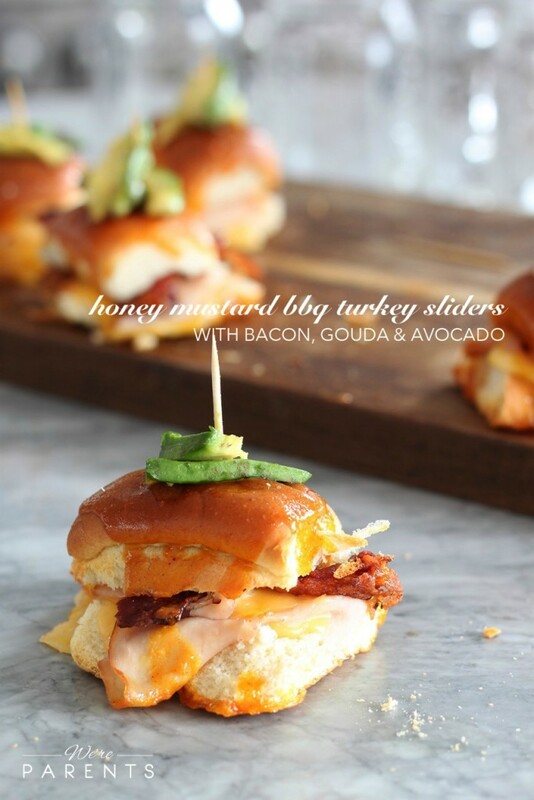 A perfect slider that will have you be the star of the next get together amongst both kids and adults. Arrange the bottoms all your rolls onto a baking sheet covered with parchment paper. 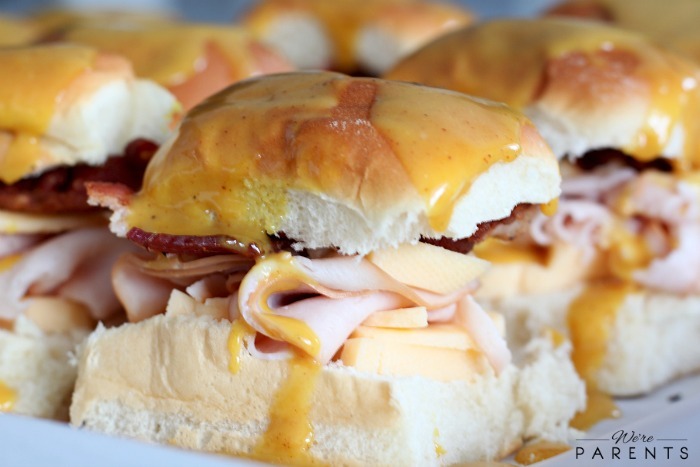 Layer your sandwiches in the following order: slice of cheese, 2 slices of Oscar Mayer Selects Natural Applewood Smoked Turkey Breast, another slice of cheese, one piece of bacon broken in half. Add the tops of the buns. Remove from oven. 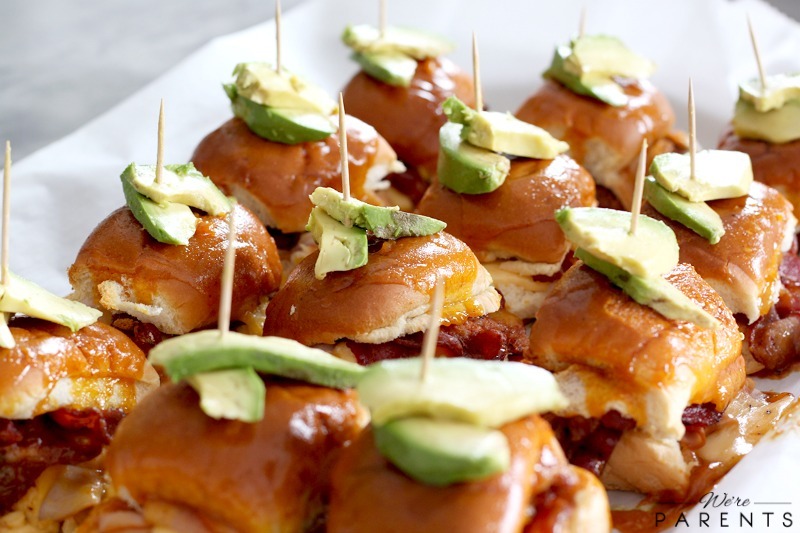 Add the avocado slices to each sandwich either under the top bun or on top of the bun with a toothpick. Cover any remaining sandwiches with plastic wrap and refrigerate. Eat within 48 hours. 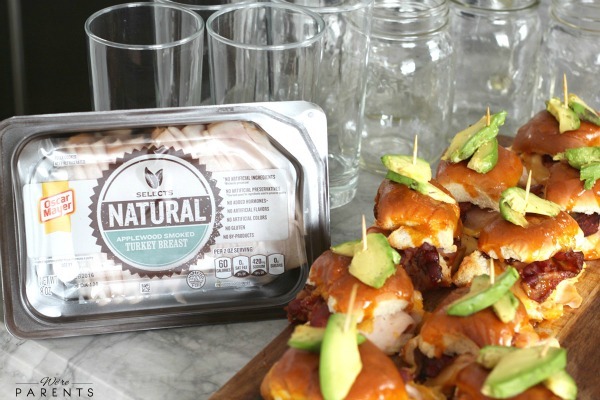 We loved the Applewood Smoked Turkey Breast from the Oscar Mayer Selects Natural line and we can’t wait to make more delicious recipes with the rest of their line including: Slow Roasted Turkey, Rotisserie Season Chicken, Applewood Smoked Ham, and Slow Roasted Roast Beef. You can learned more about the Selects Natural line and all other Oscar Mayer Products on OscarMayer.com, their Facebook page, or on Twitter at @OscarMayer. Don’t give up the good stuff! Enjoy quality deli cold cuts that your family deserves! Which variety do you want to try? Leave a comment below to let us know!